We can help your farm capture the premiums. The FBN℠ Network has partnered with AgriSecure to provide growers the support they need to transition to organic grain production and manage large-scale organics profitably. Including crop planning, execution and analysis. Access a new world of organic spot and production contracts from premier buyers. We help you through every stage of the process. Technology and guidance for traceability and record keeping. Save on leading organic and speciality products with friendly financing and direct to farm delivery. The Business Case for Going Organic is Strong. Organic doesn't have to be a dirty word. What is stopping you from having a discussion? Through AgriSecure’s traceability platform, FBN Crop Marketing’s Identity Preserved contracting programs, and the network of North America's best farmers. Line up long-term supply, grown by premier farmers, with total traceability and field-level crop knowledge. We can even roll out and manage custom or proprietary seed genetics, for a crop tailored uniquely for the products your customers love. 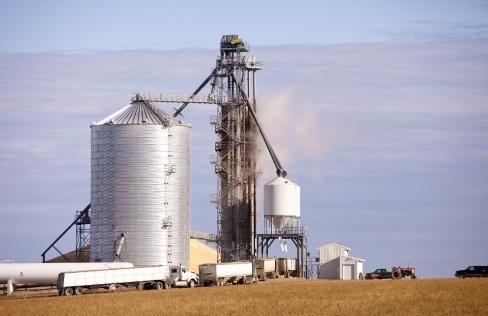 Are You An Organic Grain Buyer Looking To Source Grain From Farmers? We serve more than 24 million acres of premier family farms across the US and Canada, covering every major crop. Do you need organic grain or supply organic farmers? Let us know can we help your business.